The Relay™, being one of our most fully-featured Hot Spot® models will provide years of pleasure and pride of ownership. 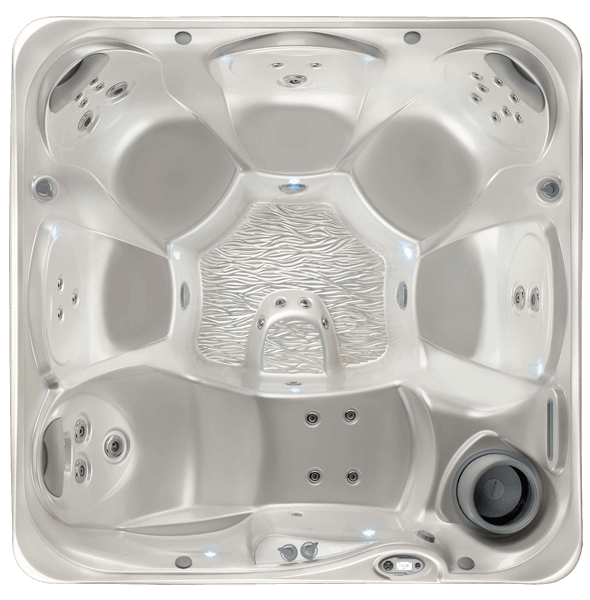 This hot tub really is elegant in every sense, with the ergonomic seating, cushioning pillows and attractive jet recesses. It’s easy to turn your hot tub into a multimedia centre – just choose one of our three entertainment options. With each system you’ll experience quality sound emitted from our unique flip-up speakers. For complete entertainment, add the excitement of a Wireless TV to the Wireless Sound System. Transmit your favourite show from your home TV wirelessly, whether it’s cable, DVD, or satellite. There’s no need to run cable to your spa nor place a DVD player outside.